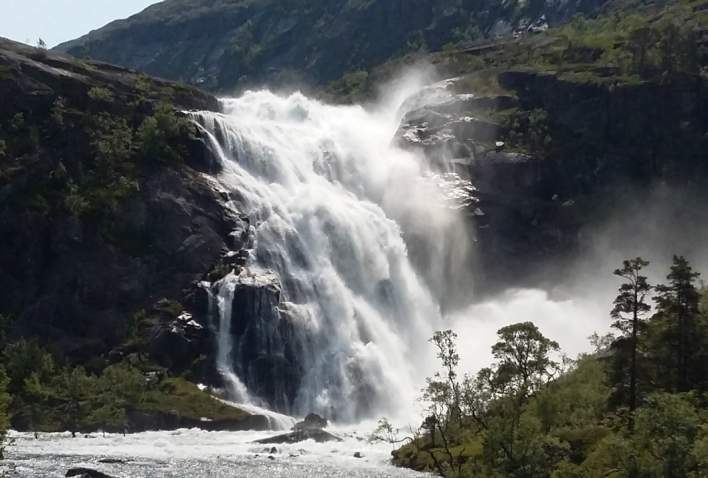 , the four waterfalls trail in Husedalen valley, HM Queen Sonja&apos;s panoramic hiking trail and the Hardangervidda National Park. Hardanger is a region with a living cultural heritage. The Hardanger fiddle, the traditional Hardanger folk costume and Hardanger embroidery are all well known in Norway and regarded as national symbols. During the 13th century growing apples was introduced in Hardanger by monks from England. Today 40% of all Norwegian fruit is grown in the Hardangerfjord region including apples, sweet cherries, pears and plums. The dizzying outcrop of rock hovers about 2,296 feet above Ringedalsvatnet lake in Odda, and is a popular hiking destination for people from all over the world. And it’s only one of many extraordinary sites along the Hardangerfjord. Running from the Atlantic to the Hardangervidda plateau, the Hardangerfjord is the fourth longest fjord in the world, and the second longest fjord in Norway. Although the scenery often looks untamed and challenging, the area offers excellent infrastructure with well-marked paths and hotels and cabins for overnight stays. 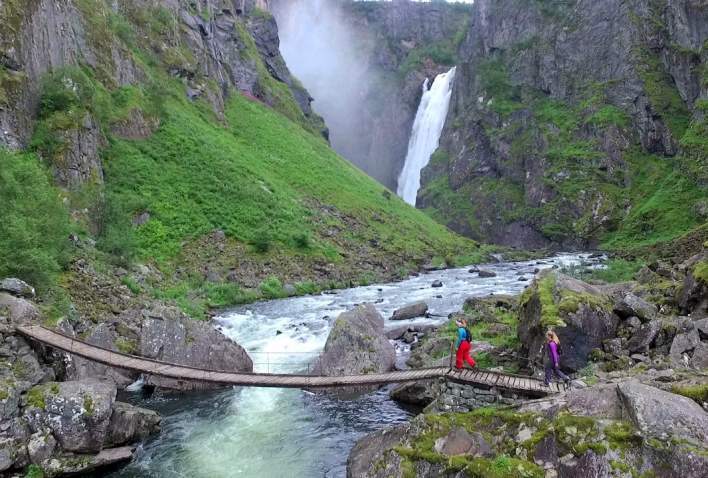 You could for instance go for a guided blue ice glacier walk on the Folgefonna glacier, or you could follow one of the National Tourist Routes – carefully selected touring routes through the most scenic parts of Norway. 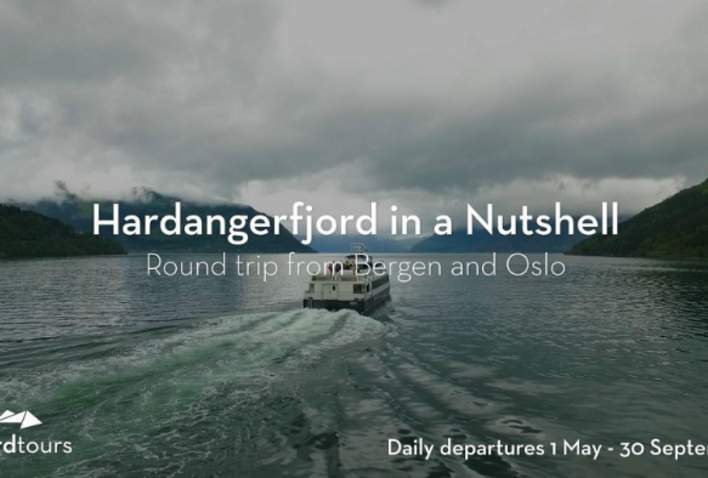 If you want to explore the fjord, you can choose between one of the many sightseeing offers or simply rent a kayak. The cultural traditions are rich in these areas. Norwegian icons like the Hardanger fiddle, the Hardanger embroidery and the Hardanger bunad (the traditional costume), can be experienced when visiting the region. During the 13th century growing apples was introduced in Hardanger by monks from England, and today 40 percent of all Norwegian fruit is grown in the area around the Hardangerfjord. Today, probably the most famous product from apples is the strong local apple cider. The nature and heritage in the region forms the perfect backdrop for a wide range of activities and adventures.